Rewind or Fast-Forward a podcast episode, switch from a Music Playlist to an Audio Book, listen to incoming text messages and send a voice or text reply... without touching your phone, just using the Previous, Next, Play buttons of your Bluetooth Headphone, your Smartwatch or the Bluetooth buttons in your car. the app Tide Table Chart will show you the tide predictions of your favourite beach. 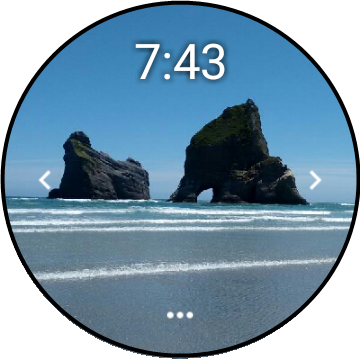 Display high and low tides on Android, iPhone, iPod, Apple Watch or Gear S2 watch. Display topo maps, satellite images and road maps with cycle and hiking trails. Switch seamlessly between maps from different sources to get detailed information about a location. Map views are automatically stored in an offline cache, so that you can view them later without an internet connection. You can add bookmarks and notes to the offline maps (e.g. your current car parking location). The app Moon Calendar Watch shows Moon Phases and times of Sunrise, Sunset, Moonrise and Moonset. Swipe left/right to see the Moon of the next day or play an animation of the Moon Phase Calendar to get a quick overview. Select your favorite pictures on your phone as a Smartwatch Photo Album Watch Face. 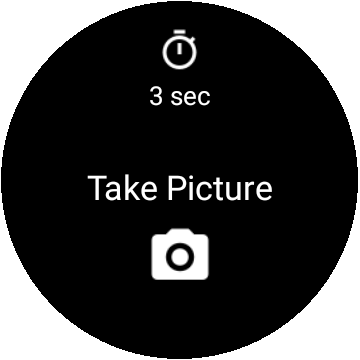 The Smartwatch will automatically cycle through the pictures in your Photo Album or you can tap left/right to see the next picture. Remote control the phone camera shutter from your Smartwatch and take a picture without touching your phone. 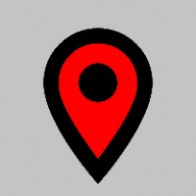 The Android / iPhone / iPod Touch / iPad app Free WiFi Cafe Spots helps you find a Cafe or Restaurant with a free WiFi hotspot. find them when you are on the road and do not have Internet access.